Market segmentation is one of the most important tasks in marketing. Particular attention should be paid to value-based market segmentation. Identifying subgroups in a market guides marketing and sales decision-making and thereby makes the marketing and pricing process much more effective. For example, customers who are price insensitive, costly to serve, and poorly served by competitors can be charged more than customers who are price sensitive, less costly to serve, and are served well by competitors. Often, however, market segmentation focuses on customer attributes that are not really useful for pricing decisions. 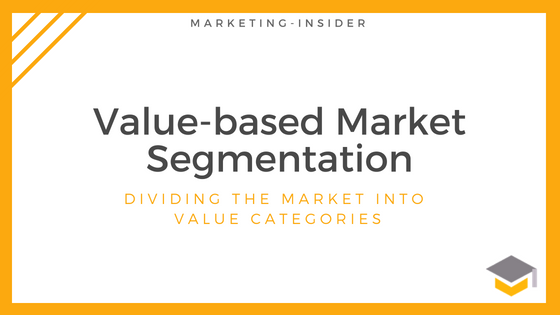 Value-based market segmentation helps to identify meaningful subgroups, which supports decision making.